The colossal moat carved into the rock that surround the castle could induce vertigo: it is ten meters wide and six meters deep. Reconstructed in the 15th century, the castle allows us to get to know a one adapted to the use of artillery weapons, integral to the wars of the time. The castle enclosure is surrounded by masonry walls, with narrow arrow-holes, and cylindrical towers at the corners. 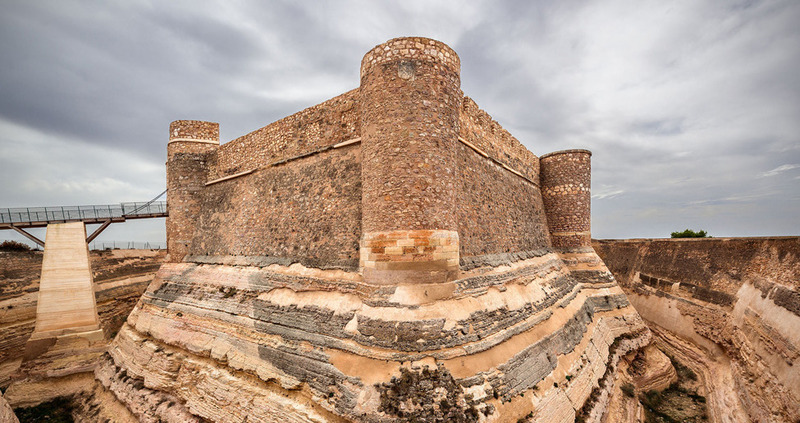 You can still appreciate the remains of the walls dating from Muslim rule and later, such as two gates, one namedDiablos(devils) and the otherTiradores(shooters). 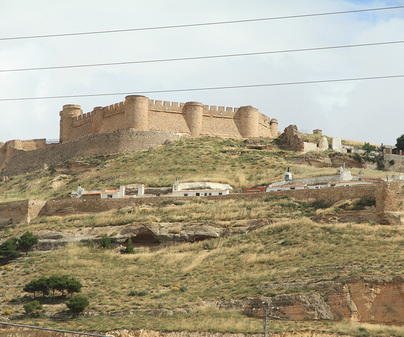 Juan Pacheco, Marquis of Villena, ordered the castle to be reconstructed over the Arab fortress called “XerifEl-Edrisi”. 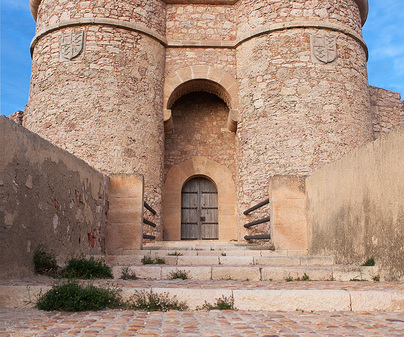 Additionally, in Chinchilla de Montearagón you can enjoy other medieval wonders, such as crests and mansions practically intact, and Iberian and Roman archaeological remains. It is only permissible to visit the exterior of the castle, as there are restorations being done to the interior. 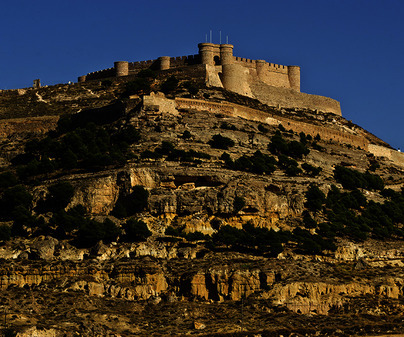 The son of the famous pope Alejandro Borgia, César, was imprisoned in this castle, in the highest room of the ancient Tower Keep, accused of the death of the Duke of Gandía. It would be the first of his prisons on his tour of Spain after the death of his father.